WordPress is a great solution for small-to-mid-sized businesses looking to make a splash online and get the attention they deserve. Long gone are the days of flipping through the Yellow Pages for businesses. Potential customers are flocking to Google in droves, and a WordPress site is the perfect way to catch their eye and win their business. Need a site fast, and can't afford custom design time? WordPress features a large-scale community dedicated to building great-looking templates that are guaranteed to impress any potential customers who visit your site. Unidev has WordPress designers who are familiar with what’s available on WordPress and can create a site that is visually appealing, user-friendly, AND mobile-friendly. Already have a WordPress site? Many times we can take the site you currently use and custom-design a brand new theme just for you around the content you already have. And since WordPress is so widely-known and user-friendly, you won't have to relearn how to add content to your site from scratch. See our Portfolio for sites we’ve created in WordPress, Magento, and our own fully custom CMS, Auctori. With WordPress there is a vast database of user-created plugins, but sometimes you need something a little bit different for your website and don’t have the PHP, CSS, or HTML knowledge to customize a plugin. Perhaps you'd like to have a real-time photo feed from Pinterest, need an especially complex contact form that reacts to your users' input, or want a special promotional voting system set up. Unidev can customize plugins to fit your site perfectly, so it runs the way you want it to. 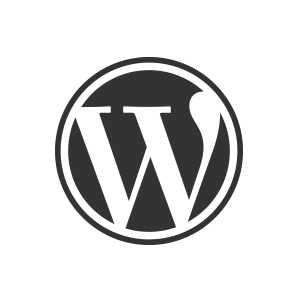 Check out our WordPress support plans, or contact us today to learn more about how we can assist you with your WordPress site.